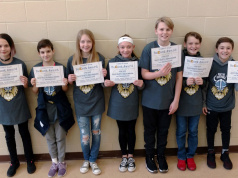 At Walnut Elementary School, a student from each homeroom is chosen as the “Student of the Month” by the staff members at Walnut. 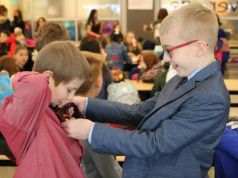 The students are recognized for improvement in grades or good grades, good attendance or improvement in attendance, character, behavior, attitude toward others/learning, good citizenship or improvement in citizenship, classroom participation, demonstrating responsibility and/or respectful to peers and teachers. Congratulations to the February “Students of the Month”! 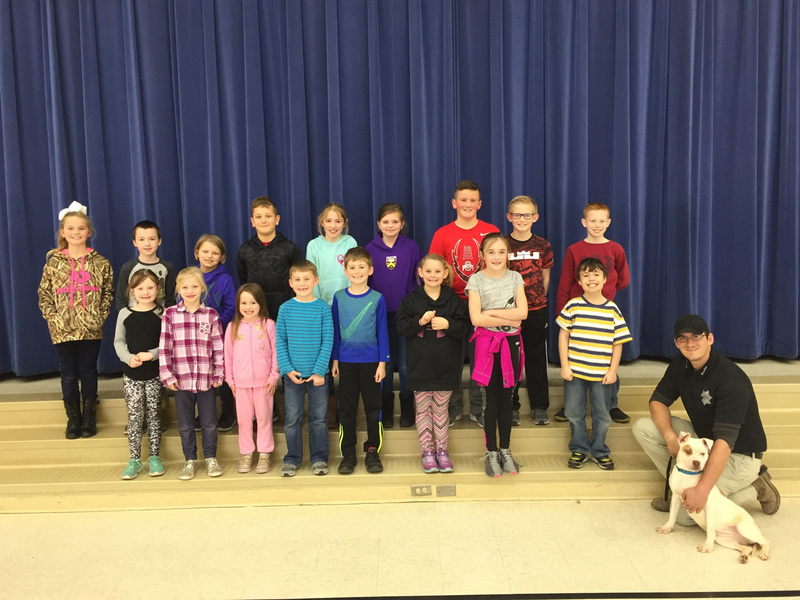 Walnut Elementary is also working with the Pickaway County Dog Shelter to help find homes for their dogs. The students are pictured with Dots, this month’s “Dog of the Month.” He is available for adoption.